I think the last good chance for having a SFM reprint in it was the Forged in Stone percon, I was very surprised it didn't happen to be honest. Op or anyone capable could you make a list or even a chart if possible of all the suggestions? I'm on mobile so my apologies, I'll fix it when I can. I'll try and keep it to cards that haven't had a recent reprint. ...will update and add as I think of more. Bored, killing time with what I can. How about expensive cards that help out the weakest color combination in Boros? Rector and Wheel are reserved list, so unfortunately won't be reprinted. Everything else here is up for grabs though. Personally, I wouldn't want to see any more Purphoros, God of the Forge. But that's just me. I just think with previous buyouts and hoarding, it was Commander exclusives only in one deck. With a decent print run and a couple Zendikar fetches (and shocks or tango lands or something else chesp) in each one, there isn't a clear buyout target. It's not a group of 3-4 decks and people only want one. I think it would benefit people. Commander players who have them can recoup most of the deck value from Modern players and just keep what they want from it, and it's not a product that will be hoarded long term, as long as it makes sense, Modern players might buy them for the fetches and give Commander players really good deals on the rest. I know that when TNN came out, local Legacy players ended up basically subsidizing a good portion of the cost. Of course this all depends on a proper print run. Just a handful per LGS doesn't help anyone, and not just in this scenario. Need of new arts also. Thought of a couple more I'd like to see. Ophiomancer - Great card, like to see the price drop a little. No Mercy - Expensive, like to see the price drop a lot. Crypt Rats - I have a lot of copies, but I just want this printed in the modern frame. Willow Satyr is on the Reserved list. I think the others are all okay, though. I would love a reprint of Ashes to Ashes. Not going to happen. When we go to a new plane eventually, and then probably not a norse inspired one s that is on top of everybody's want list so,it will be a succes anyway, that is business risk for WotC because players might not like the set. All they have to is print fetches or some other very craved land cycle in it and it will sell like hot cupcakes regardless of the rest of the set. They won't give away such an "insurance policy" in a set that they know will sell well anyway. Copy tokens. I want to see them continue copy tokens. There's plenty of staples, old and new, that have risen well past $1.50. Mostly mana fixers. Stuff like Sakura-Tribe Elder, Burnished Hart and Fyndhorn Elves. The latter is a very odd case. 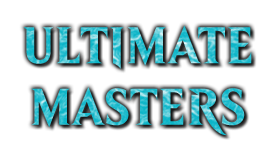 Other than the low print run Deckmasters box set and the FtV 20 reprint it has never been reprinted, and it probably never will. 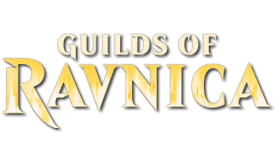 We have Llanowar Elves for any reprint in the Dominaria setting, and Elvish Mystic if a set needs a more generic mana dork. Fyndhorn Elves has become entirely superfluous. It feels like they'll have to be in a commander set, if there's going to be a reprint at all. There's a lot of staples in general that seem to be getting way too expensive given how often they've been printed, and how commonly used they are in the Commander format. 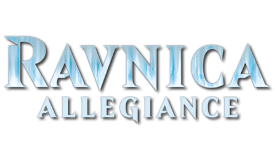 The newest Tolarian Community College podcast had an interview with Gavin Verhey. He confirmed that we are not going to be seeing fetches in any Commander sets anytime soon, but said that a) Wizards has heard the complaints about the low value of reprints in C18 and will be improving the value of the reprints moving forward, and b) with the demise of the Masters sets, we will probably be seeing more in-demand staples for commander, modern and other formats in Commander sets, as well as things like future Battlebond and Conspiracy sets. Here's hoping these changes kick in with C19. This sounds great. It stands to reason, and I hope they stay true to this and we see some tasty morsels in C19. - They pretty much chew up the entire value of a precon in a single card, so you could more or less guarantee the rest of the box would be dross - there's no way WOTC go above monetary parity unless they can help it in precons. Sure there are outliers like Teferi's Protection, but they KNOW the value of fetches prior to printing, and that value isn't going to drop anytime soon. 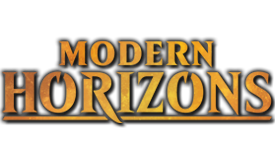 - They're chase cards not only for commander but other formats as well - the last thing they want is modern players scooping up precons in lieu of EDH players getting access to them. Sure they want the sales, but they also don't want to deal with the fallout of EDH players complaining they're not getting access to precons for a format that modern players aren't interested in. I'd suggest that what Ertai has mentioned is likely to be the case; we'll see them return, but not until we're seeing a more financially risky set come up; a new plane, new story arc, mechanics WOTC is uncertain of; something they need an insurance policy for. I would argue that Rhystic Study is very likely the only 'iconic' card in Prophecy. 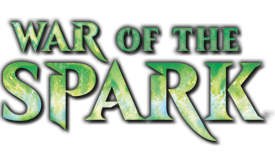 I think the Avatar cycle, especially Avatar of Woe, counts as iconic. Maybe Foil and the legendary Spellshapers. I have to admit, I do quite like Jolrael, Empress of Beasts. Doesn't mean I wouldn't be bummed to pull it from a masters pack, but nonetheless it's a cool card. And yeah, Avatar of Woe is pretty cool too. Tolaria West is up over $15 NZD now. What the hell. It's great, but there's no reason it should be that pricey. It's an older uncommon that sees play in a decent modern deck, plus there's some EDH demand. Price makes sense, still a good choice for a reprint. Tolaria West would be a great card to reprint. I also wouldn't be sad to see a new Transmute card or two some day. Rosewater and Verhey have both said it is unlikely that fetches will be showing up in any Standard set in the foreseeable future. Fetches = lots of in-game shuffling, which lengthens match times. This is also why we are getting crappy "look at the top five cards of your library, reveal up to one of X card type and put it in your hand, put the rest on the bottom of your library in a random order" cards in place of things more along the lines of Farhaven Elf. Verhey did specifically say today that fetches will be reprinted somewhere in the fairly near future, but he did not specify where other than that they would not be in either Commander precons (for the reasons you mention) or standard-eligible sets. It's hard to imagine them fitting into future Battlebond/Conspiracy sets, but he did hint there are some new things coming down the pike, and he also noted that with the success of the Challenger decks last year, a similar Modern product is not outside the realm of possibility, especially if this year's Challenger decks also do well. cards that don't need to be here? which cards that don't need to be reprinted from my list will be reprinted? sol ring, high market, comet storm. i fully expect to see the same generic crap we've seen the past 3 releases instead of anything necessary, or creative, because these are going to sell regardless of whats in them so long as they're new and shiny. i would love to see this product get back to where it once was, where i'm comfortable buying multiples for the value and utility of whats inside. 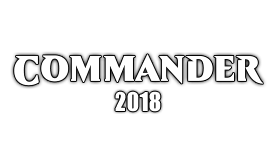 as it stands, i anticipate buying the new commanders and nothing more. You know the Professor over at TCC just did an episode where he interviews Gavin, and this was one of the things they talked about. Gavin basically said stuff like fetches wouldn’t be put into Commander precons because they try to keep reprints selective to the appropriate audience, i.e. in his own words, fetch lands being necessary for modern so they are more likely to appear in a modern focused supplemental product. How about value cards that have been printed to few times in commander decks, like Path of Ancestry, Command Beacon, Thought Vessel, Grave Pact, and more that people have already mentioned. Vault and Tomb literally just got reprinted last month in Ultimate Masters.